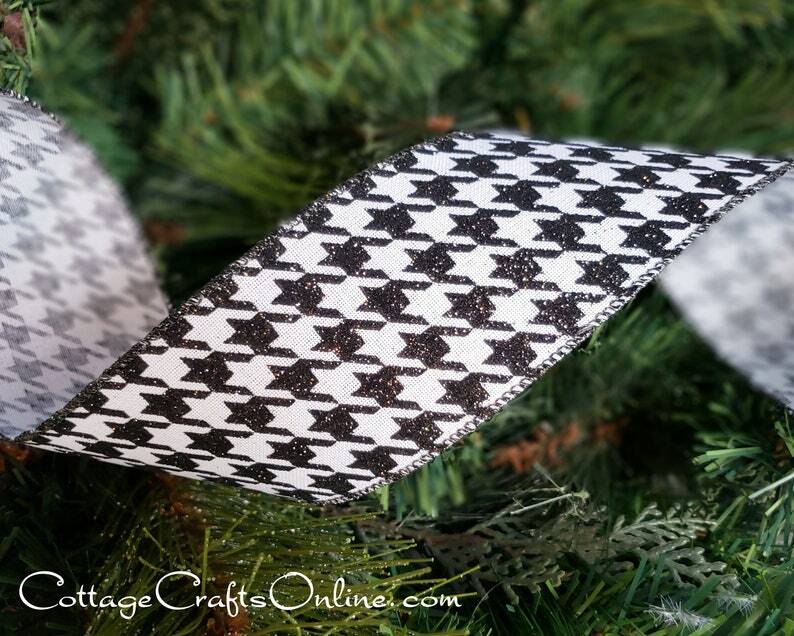 Glittered black and white houndstooth check pattern, 2 1/2" woven ribbon with a wire edge covered in black thread from Offray Lion Ribbon limited edition collection. THANK YOU for viewing our item! Visit our store for over 1600 ribbons and craft supplies: http://www.etsy.com/shop/cottagecraftsonline.